Learn Abkhaz language for free. Play and learn Abkhaz words online. Learn Adyghe language for free. Play and learn Adyghe words online. Learn Albanian language for free. Play and learn Albanian words online. Learn Arabic language for free. Play and learn Arabic words online. Learn Armenian language for free. Play and learn Armenian words online. Learn Assamese language for free. Play and learn Assamese words online. Learn Avar language for free. Play and learn Avar words online. Learn Azeri language for free. Play and learn Azeri words online. Learn Bashkir language for free. Play and learn Bashkir words online. Learn Basque language for free. Play and learn Basque words online. Learn Belarusian language for free. Play and learn Belarusian words online. Learn Bengali language for free. Play and learn Bengali words online. Learn Breton language for free. Play and learn Breton words online. Learn Bulgarian language for free. Play and learn Bulgarian words online. Learn Catalan language for free. Play and learn Catalan words online. Learn Chechen language for free. Play and learn Chechen words online. Learn Chinese language for free. Play and learn Chinese words online. Learn Chuvash language for free. Play and learn Chuvash words online. Learn Cornish language for free. Play and learn Cornish words online. Learn Corsican language for free. Play and learn Corsican words online. Learn Croatian language for free. Play and learn Croatian words online. Learn Czech language for free. Play and learn Czech words online. Learn Danish language for free. Play and learn Danish words online. Learn Dutch language for free. Play and learn Dutch words online. Learn English language for free. Play and learn English words online. Learn Erzya language for free. Play and learn Erzya words online. Learn Esperanto language for free. Play and learn Esperanto words online. Learn Faroese language for free. Play and learn Faroese words online. Learn Finnish language for free. Play and learn Finnish words online. Learn French language for free. Play and learn French words online. Learn Friulian language for free. Play and learn Friulian words online. Learn Galician language for free. Play and learn Galician words online. Learn Georgian language for free. Play and learn Georgian words online. Learn German language for free. Play and learn German words online. Learn Greek language for free. Play and learn Greek words online. Learn Hebrew language for free. Play and learn Hebrew words online. Learn Hindi language for free. Play and learn Hindi words online. Learn Hungarian language for free. Play and learn Hungarian words online. Learn Icelandic language for free. Play and learn Icelandic words online. Learn Indonesian language for free. Play and learn Indonesian words online. Learn Ingush language for free. Play and learn Ingush words online. Learn Irish language for free. 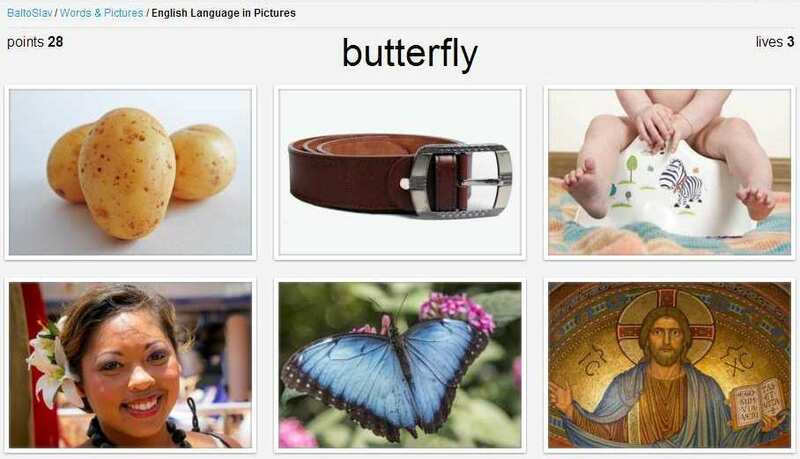 Play and learn Irish words online. Learn Italian language for free. Play and learn Italian words online. Learn Japanese language for free. Play and learn Japanese words online. Learn Javanese language for free. Play and learn Javanese words online. Learn Kabardino-Cherkess language for free. Play and learn Kabardino-Cherkess words online. Learn Kalmyk language for free. Play and learn Kalmyk words online. Learn Karachay-Balkar language for free. Play and learn Karachay-Balkar words online. Learn Kashubian language for free. Play and learn Kashubian words online. Learn Kazakh language for free. Play and learn Kazakh words online. Learn Komi language for free. Play and learn Komi words online. Learn Korean language for free. Play and learn Korean words online. Learn Kyrgyz language for free. Play and learn Kyrgyz words online. Learn Lak language for free. Play and learn Lak words online. Learn Latgalian language for free. Play and learn Latgalian words online. Learn Latvian language for free. Play and learn Latvian words online. Learn Lithuanian language for free. Play and learn Lithuanian words online. Learn Livonian language for free. Play and learn Livonian words online. Learn Lower Sorbian language for free. Play and learn Lower Sorbian words online. Learn Luxembourgish language for free. Play and learn Luxembourgish words online. Learn Macedonian language for free. Play and learn Macedonian words online. Learn Malay language for free. Play and learn Malay words online. Learn Maltese language for free. Play and learn Maltese words online. Learn Manx language for free. Play and learn Manx words online. Learn Mari language for free. Play and learn Mari words online. Learn Moksha language for free. Play and learn Moksha words online. Learn Mongolian language for free. Play and learn Mongolian words online. Learn Nepali language for free. Play and learn Nepali words online. Learn Norwegian language for free. Play and learn Norwegian words online. Learn Ossetian language for free. Play and learn Ossetian words online. Learn Persian language for free. Play and learn Persian words online. Learn Polish language for free. Play and learn Polish words online. Learn Portuguese language for free. Play and learn Portuguese words online. Learn Romanian language for free. Play and learn Romanian words online. Learn Romansh language for free. Play and learn Romansh words online. Learn Russian language for free. Play and learn Russian words online. Learn Scottish Gaelic language for free. Play and learn Scottish Gaelic words online. Learn Serbian language for free. Play and learn Serbian words online. Learn Slovak language for free. Play and learn Slovak words online. Learn Spanish language for free. Play and learn Spanish words online. Learn Swedish language for free. Play and learn Swedish words online. Learn Tatar language for free. Play and learn Tatar words online. Learn Thai language for free. Play and learn Thai words online. Learn Turkish language for free. Play and learn Turkish words online. Learn Turkmen language for free. Play and learn Turkmen words online. Learn Udmurt language for free. Play and learn Udmurt words online. Learn Ukrainian language for free. Play and learn Ukrainian words online. Learn Upper Sorbian language for free. Play and learn Upper Sorbian words online. Learn Vietnamese language for free. Play and learn Vietnamese words online. Learn West Frisian language for free. Play and learn West Frisian words online. Learn Yakut language for free. Play and learn Yakut words online.